We are an import/export and wholesale corporation located in Kent, WA (USA). The corporation focuses on Bonsai Trees, Accessories, Ceramic Pots, Tools, Fertilizer, Mud Figurines and more since 1981 in Hong Kong and 1992 in the United States. 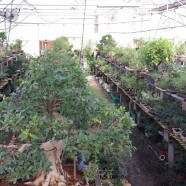 Our facility resides on two acres that includes our office, showroom, warehouse, and greenhouse.